Mike Winningham is Research Director at Corning Incorporated and is currently located in Seattle, where he is focused on technology scouting and establishing strategic collaborations with innovators based in the Pacific Northwest region. 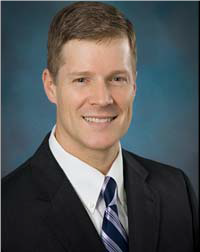 Mike Winningham joined Corning 22 years ago as a development scientist in the Coating Development Group of the Telecommunications Products Division, now Corning Optical Communications, where he developed advantaged optical fiber coatings. In 2005 he became the development manager of the Corning Optical Fiber Coating Development Group, which developed and transferred new optical fiber coating technology into manufacturing. In 2007 Mike joined the Science & Technology Division of Corning, where he held various research management and technical leadership roles. Mike was appointed Director of Organic and Biochemical Technologies Research at Corning Incorporated in 2013. In this role, he was responsible for research leadership relating to early innovations in organic, polymer, and coating materials, as well as biochemistry, biomaterials, and bioprocessing. In 2016, Mike took a new role at Corning as Research Director of Technology Collaborations – Pacific Northwest and later relocated to Seattle in 2017. Dr. Winningham received a bachelor’s degree in chemistry from Northwestern University, and he received a Ph.D. in polymer chemistry from Cornell University. He is a member of the American Chemical Society and was a recipient of the Society of Plastic Engineers Frank Giblin Memorial Award in Polymer Analysis in 1999. Mike was a board member of the Council for Chemical Research from 2014-2015. Dr. Winningham has been awarded 23 U.S. patents during his career with Corning.